The Internet and social media can be very scary places where even the most innocent of posts can get you into one helluva lot of serious trouble. 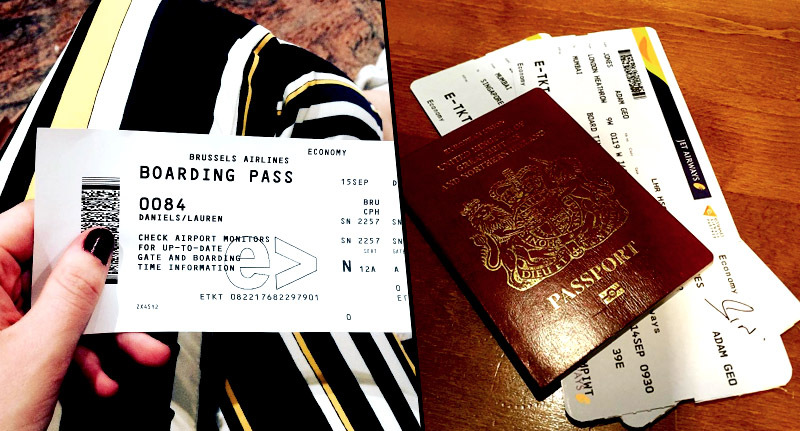 I’m sure we’ve all seen at least one photo shared on Instagram, Facebook, or Twitter of someone flashing their boarding pass before embarking on some lavish flight across the globe, reports The Sun. But did you know that by posting this sort of image onto Facebook or Twitter, or just the Internet as a whole, you’re opening yourself up to a whole world of trouble. How? Well you’ve essentially made your personal details just one click away. By posting such an image, anyone would be able to head over to the (in this case) British Airways website and login to the ‘Manage My Booking’ section using your passenger name and a booking reference. Once in you’ll be able to see the passengers full details including their flight itinerary, where and when they’re going to travel, their seat number, and ticket number too. As well as these, you can also see a full breakdown of the cost of the flight and the last four digits of the card used to purchase tickets. As if this wasn’t scary enough – somebody with bad intentions could incredibly easily cancel your flight, book you onto another flight, or change your flight entirely – racking up quite the bill for you. And any potential thieves would know exactly when you’re going to going to be out your house and for how long too. Oh and don’t think that by merely covering your name and booking reference you’ll be sorted – because even your barcode can be used to acquire all of the above information if somebody has access to a barcode scanning app or device. Another big worry is that of identity theft – which, by using the details above, would be very easy indeed. You could post a photo to the Internet if you covered up all of the important information, but then again – it wouldn’t make for such a pretty picture that way would it? My advice is just don’t do it all – nobody cares that you’re going to Milan for a week Jennifer.